This coupler connects 1/4 in. cables via its 2-conductor 1/4 in. female to female mono jacks. zZounds is an authorized dealer of Neutrik products. Sound: I just receeived this adapter. There is a loss in the signal, in terms of both tone and volume. The resulting sound is very dull, compared with the one what you would get without this adapter. Feature: It is a simple female-to-female adapter. Ease of Use: Easy to use. Value: This is not something I had expected. Manufacturer Support: Don't know yet. The Wow Factor: I will not use it. 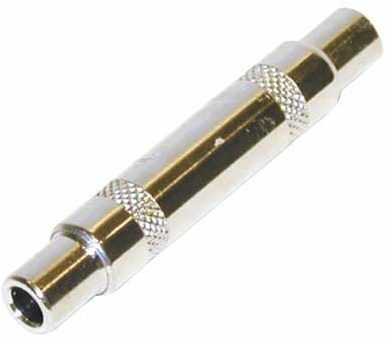 I am searching for a better adapter with little or no signal loss. If you are serious about tone, don't get this one. 14 of 16 people (87.5%) found this review helpful. Did you?